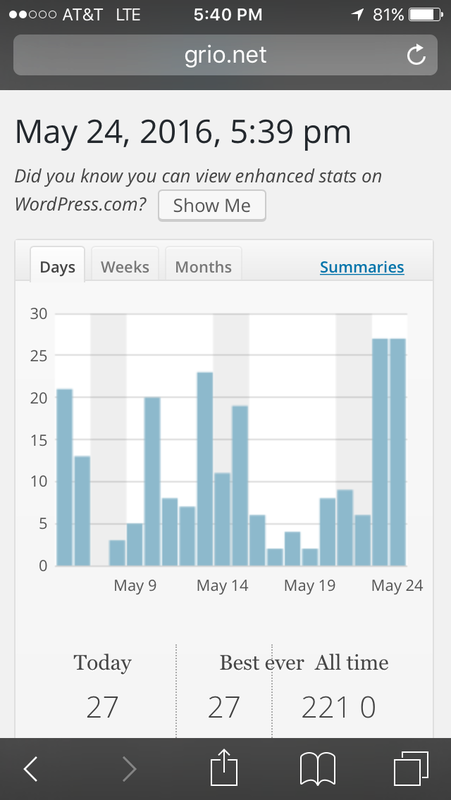 The site is growing consistently. I appreciate you taking the moment. Bit of a passion project of mine, so it’s appreciated to get the traffic. Doesn’t translate to dollars and cents (yet), but that’s not why I’m doing it. When we post to social media, it’s there, then it’s gone. I’m looking for a more permanent place to put the musings, the links, the memories. I am pretty sure I’ve found it in this. If there’s anything is ask, it’d be to share it out to your friends; let them know it’s a worthwhile follow. So, that’s my ask. Hit that share button and a few quick words to get a few more eyeballs on my movies, music, and more musings (alliteration, anyone?). Thanks for the support, and I look forward to growing it. I figure this beats my political rhetoric by a long shot, providing items of actual interest, and hopefully, novelty you as the reader can continue to appreciate.